Adros KUV 26-50 flare dispenser is intended for locating and dispensing 26 mm and 50 mm calibre chaff decoys and flares with the purpose to protect aircraft against guided missile attacks. 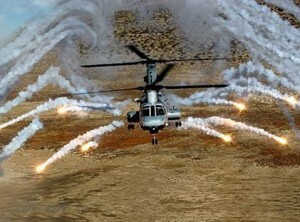 Device dispenses flares under special programs to create complicated jamming situation for missiles with infrared homing heads even for those have counter counter-measure system. Universal flare dispensing programs are developed for particular aircraft type. Salvos of two calibre flares with different and specially calculated periods provide to approaching missiles false information about target location and lead the missiles away from the attack trajectory. «Adros» KUV 26-50 can be applied on all flight stages in manual or automatic (jointly with the missile warning system) modes. 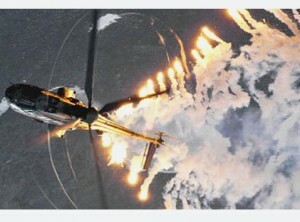 «Adros» KUV 26-50 flare dispenser can be installed on helicopters, military transport airplanes and assault aircrafts. 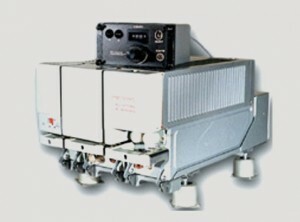 Automatic test equipment is designed for on-site preparation and maintenance of airborne precision guided weapons (various missiles and bombs) in operator’s field areas or stationary bases. diagnostic suite (DS) is included as a component of some special-purpose AKPA, that allows to isolate a fault in missiles for overhaul. Missiles, with designed DS for them, are marked with red. 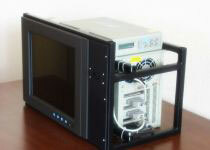 Automatic test equipment (AKPA) that is used to verify air-launched weapon parameters consists of the following general and special purpose units and modules: microcomputer, industrial strength laptop computer, a set of universal converters and generators, switching units for stimuli and signals under check, supply voltage converters, special purpose devices and power resources, random access memory (ZUPV049) for item test and self-test software storage. Maintenance facilities, designed for pre- and post- operational handling of missiles in air-launched weapon test facilities areas, embrace general and special purpose units and assemblies. 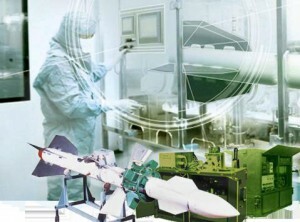 Structurally, GURT complex provides easy delivery either of loose AKPA components, or complete suites of test equipment to satisfy customer needs in checking out different types of missiles. Are mounted on the An series aircraft and Mi se­ries helicopters and are intended for jamming missile radar and IR seekers. Jamming is carried out in trains of 4 or 16 rounds at 2s and 4s intervals (ASO-2V. 0000-0-04 – at 2s or 6s intervals). Dispensers of the ASO-2VM type perform jamming in close-sequence salvo of 2, 4 or 8 rounds. The ASO-2V. 0000-0-01 and ASO-2VM dispensers can shoot-off rounds with barrel facing up or down, while others operate with barrels directed downwards. 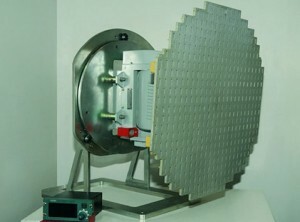 They can be mounted on the Il-76 series aircraft and are intended for automatic radar and infrared lamming. 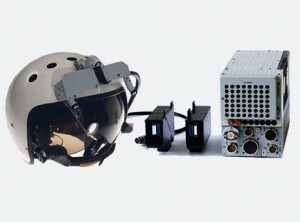 SURA Helmet-Mounted Target Designation System (HMTDS) can be used both in fixed-wind aircraft and helicopters for off-foresight aiming of guided weapon (IR missiles, turret gun) and viewing systems at visual targets. 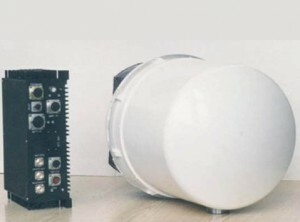 It is intended for operation as a part of helicopter-based round-the-clock and all-weather radar system for helicopter collision warning with stationary obstacles such as pylons and wires of high-voltage lines, towers, high-rise building, etc. It is intended for detection of meteorological formations dangerous for flight fulfilment, information obtaining about radar picture of terrain with coastal lines of sea and oceans, big cities and industrial centres. It is installed on Be-200, An-140, An-148, An-74TK-300 aircraft. It provides the issue of aircraft navigation data to the crew at the range and azimuth indicators which are included into the equipment delivery set. The VEER-M equipment is installed on An-70, An-140, An-26B, An-74, An-32, Yak-42, Tu-134, Tu-95M, Ruslan, Mriya aircraft and Mi-26 helicopters. The equipment is operated in two operating modes: NAVIGATION and LANDING. In the NAVIGATION operating mode the equipment calculates by ground-based beacon signals the azimuth, aircraft deviation from azimuth and slant range, and in the LANDING operating mode it provides the approach and forms the signals of deviation from equisignal zone of course and glideslope, as well as slant range to the landing beacon. Number of frequency-code signals in the LANDING operating mode is 40, and in the NAVIGATION operating mode – from 40 to 176 depending of ground-based beacon type. time synchronisation with external source and plot time stamping.